Lyle's is the first restaurant from renowned chef James Lowe, founding member of the esteemed Young Turks Collective, alongside John Ogier, his former colleague at St John. 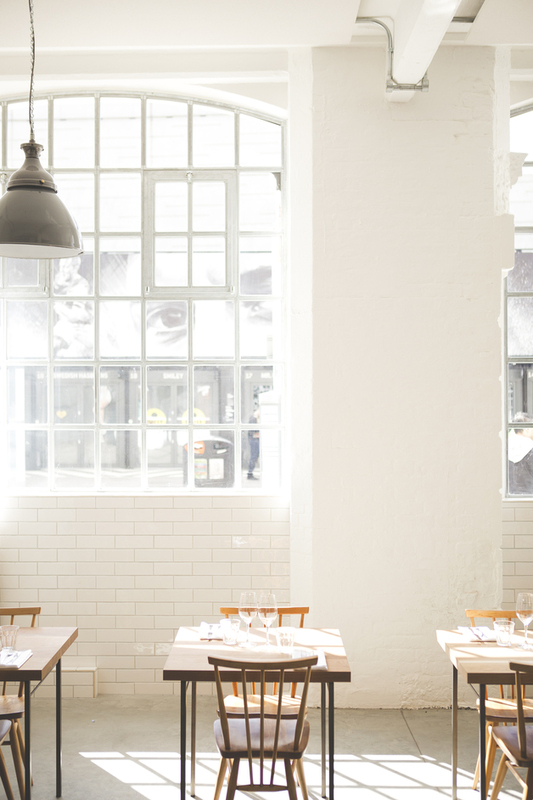 Opened in spring 2014, the restaurant occupies an enviably trendy spot on Shoreditch High Street, the fittingly modern and minimalist décor offset by the rich, wholesome cuisine. Big on UK produce, the menu is a creative blend of British and Scandinavian influences, with both lunch and dinner menus updated daily. Homemade breads, butters and pickles also feature, as does a carefully selected wine menu which evolves with the seasons. Lyle's Restaurant gyms, sporting activities, health & beauty and fitness. The best pubs near London Lyle's Restaurant. Lyle's Restaurant clubs, bars, cabaret nights, casinos and interesting nightlife. Where to have your meeting, conference, exhibition, private dining or training course near Lyle's Restaurant. From cheap budget accommodation to luxury 5 star hotels see our discounts for Lyle's Restaurant hotels, including Holiday Inn Express London-City from 85% off.